Creating a value proposition is a part of our long-term strategy. According to Kaplan and Norton – “Strategy is based on a differentiated customer value proposition. Satisfying customers is the source of sustainable value creation.” (emphasis by me). The key words here are “differentiated” and “sustainable”. 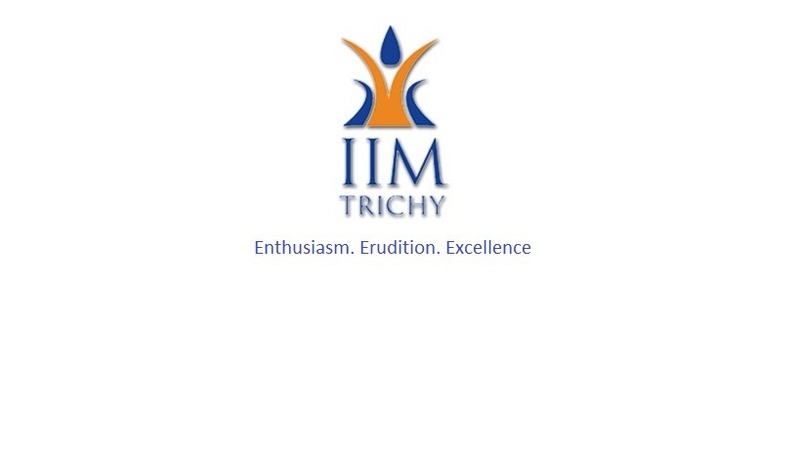 The brand IIM Trichy must not only be differentiated, but also sustainable. By “sustainable” we mean enduring, something that grabs the attention in the short term and leaves a lasting mark. Creating a value proposition is also based on review and analysis of benefits, costs and values an organization can deliver to its customers and prospective customers. It is the latter we are interested in most, simply because all our “customers” are prospective. Understandably, “We are the first batch” has become an overused rhetoric by now, but it doesn’t negate the fact that we do have to face those challenges and persuade our prospective customers to indulge us and invest in us. How do we do this? How do we create an impressive value proposition? “Value Proposition” involves two terms – “Value”, which means a quantity or quality which only we can uniquely provide and “proposition” which means an offer. Combined together, I hope we can come up with an “offer you can’t refuse” (I know, I know!). In simple terms, the companies – our prospective customers will look for something unique, that only we can add to their organizations. Enthusiasm: This is the most unique differentiating factor of IIM Trichy. We have that zest, the spirit that few institutes have. While they enjoy the comforts of established practices, we revel in the glorious uncertainties, armed with only our enthusiasm. Erudition: The most sacred purpose of this institute is to mould us into veritable sources of knowledge. Our every endeavour will hinge upon this quest for knowledge and hence erudition, not just any, but one that contributes to the societal well-being should be unique to us. Excellence: Finally, excellence. This has been stressed upon us since the very beginning by our mentors and well-wishers, and with good reason! Even Sachin Tendulkar – the best there is, in his field, says – “getting better never stops”. Surely, having started out just now, we should strive to take up the long and arduous road to excellence? When combined together, these three powerful concepts arm us with a belief and image we can attract our prospective customers with. And the realisation of these concepts will hold them in our sway and build lasting synergistic relationships, which will make the brand IIM Trichy unique and powerful. Disclaimer: Clearly, the value proposition presented here is limited by my understanding and ability. This needs to be improved and built upon. This entry was posted in Opinions, Shishir Bhat, Uncategorized. Bookmark the permalink. Thanks Vaibhav! I hope there is more reveling and less toiling 😉 But that’s wishful thinking.